Everybody is talking about Bitcoin, but most people have no idea what the fuss is about. If you keep hearing about Bitcoin, but don’t understand the hype, this book is written for you. This book was offered free to Liberty.me Members in February 2015. This is a “what-is” book, not a “how-to” book. The how-to Bitcoin guide by Steve Patterson's older brother, Sam Patterson. Jeffrey Tucker explains how peer-to-peer technology is shaping the future. The Bitcoin Brothers, Steve Patterson and Sam Patterson, are here to talk with you about cryptocurrencies, answer all your questions, and help you get your first Bitcoin. 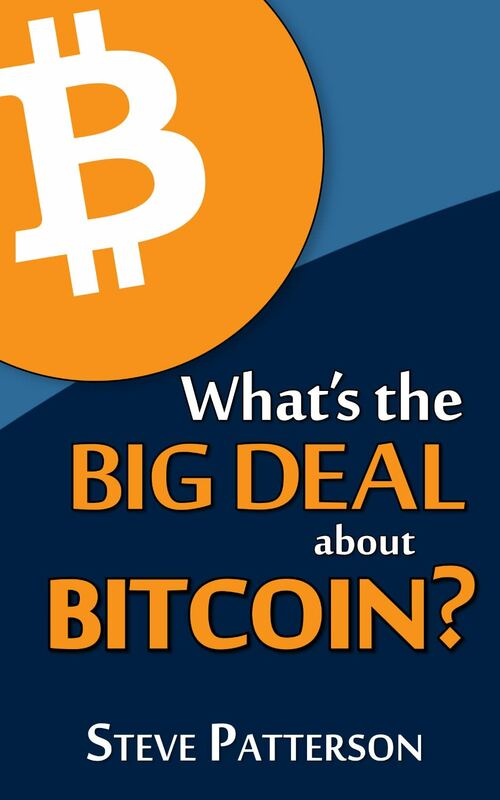 Sam’s the author of Up and Running with Bitcoin and Steve is the author of the new book, What’s the Big Deal about Bitcoin?. Join the Bitcoin Bros and your host, Mike Reid, for a fun, instructional event. Send in questions ahead of time here. What if the government let anyone use a currency of his or her own choosing? What if the government permitted entrepreneurs to innovate in the monetary sector, such as by creating digital currencies or minting commodity money? This is precisely what F.A. Hayek argues in his book written in 1974, The Denationalization of Money. Join Jeffrey Tucker to explore the importance of monetary freedom in building a free society. This week, Tatiana welcomes Rodolfo Andragnes of Bitcoin Argentina. We’re especially looking forward to laBITconf, the original Latin American Bitcoin conference, taking place in Mexico City this week on December 4 and 5. Jeffrey Tucker talks with Yael Ossowski and Eyð Áradóttir Hammer of European Students for Liberty about their upcoming conference in Prague. With talks by investigative journalists, economists, and surveillance experts squeezed in between trips to the gun range, a photography tour, live band performances in a private club, and famous Czech beer, the fifth annual European Students For Liberty Conference in Prague, Czech Republic promises to be the most epic conference on the Old Continent. Held on on March 11-13, 2016, it’s the perfect place to meet pro-liberty students and young professionals from all over Europe. It’s run by students for students and promises to give as much academic and intellectual rigor as Czech awesomeness. Come celebrate the growing liberty movement in Europe at the biggest meeting of young minds and hearts dedicated to the ideas of freedom! We’ll be remembering the students who’ve fought against socialism in the Czech Republic and more, and promoting the generation making a positive change today. Register for the conference. Watch the ESFLC video. I’m doing a LIVE event with the Bitcoin Brothers, Steve + Sam Patterson next week on Wednesday night at 9 EST. Sam’s the author of Up and Running with Bitcoin and Steve is the author of the new book, What’s the Big Deal about Bitcoin?. Together, they are the perfect resource for a Bitcoin newb like me. We have some ideas for a bitcoin-basics walkthrough with Steve + Sam, but we’re eager to find out what YOU interested in. So ask your questions here! Do you want to learn more about How can I buy my first Bitcoin? How can I buy stuff with Bitcoins? Were Steve + Sam genetically engineered by Satoshi Nakamoto? What are the theoretical basics of the technology? The econo-political implications of crypto-currencies? Cool future applications of cryptocurrencies? Pros and cons of Bitcoin vs various Altcoins? How many more cryptocurrency clones are there in the Patterson family? Ups and downs of the Bitcoin market? The biggest challenges to Bitcoin’s future? Something else we haven’t thought of yet? Answer below to let me and the Bros know what questions you have for the Bitcoin Brothers, and we’ll respond to your questions next week on LIVE.